The most charming wedding venue in St. Louis. A romantic tropical glass gardenhouse wedding ceremony and photo venue set amidst the rich vintage charm of the Historic District of Saint Charles (St. Louis, MO). 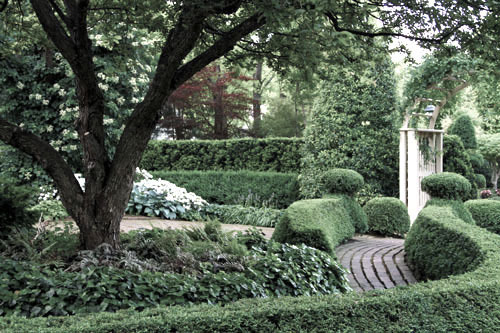 A private botanical garden and wedding chapel since 1990. Think of it as an outdoor wedding... that is not outdoors. Within the glass gardenhouse is a forest of tropical foliage surrounded outside by lush gardens and courtyards - your own private gardens. 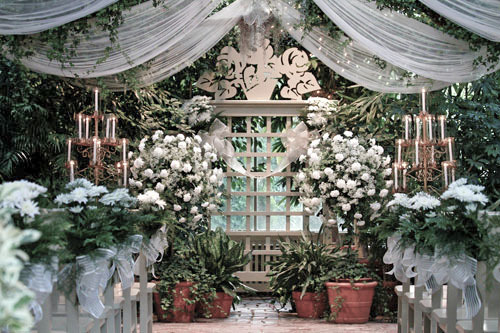 Plan a garden wedding in every season! 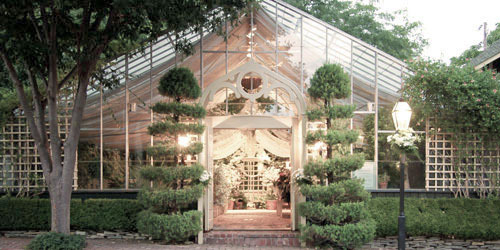 The gardenhouse is heated and air-conditioned. 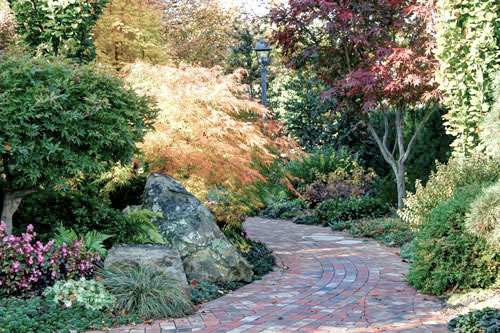 Every season is beautiful at The Conservatory. Packages include feature flower decorations, candles, coordination, rehearsals, music, bride and groom rooms. Options are available for additional embellishments. Check available dates, find pricing, make your reservation and pay online... all from this website. 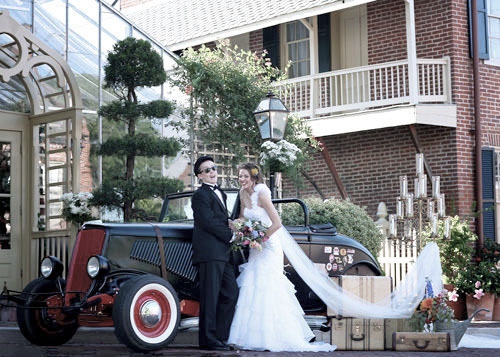 Ample free public parking is available for guests; a private lot is reserved for family and wedding party. Use our vendor list to find photographers, florists, officiates, horse-drawn carriages, reception venues, lodging and more. Easy wedding planning. Planning a destination wedding? The Historic District is the perfect getaway. A perfect wedding location. Last minute wedding? Don't go to the courthouse. We offer a Petite Session. An Open House for tours is offered every Tuesday 1:00pm-8pm. Come by for a tour!